Dear Boston, As a bleed blue-and-gold Sabres fan, it’s a general rule that I don’t often write nice things about the Boston Bruins. However, with any rule, there are exceptions. This is one of those. When disaster strikes, sporting events can contain a powerful healing element to them, creating a sense of community and togetherness. 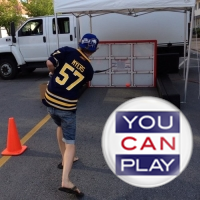 Perhaps no team knows this better than the Buffalo Sabres. On September 11, 2001, terrorists crashed hijacked airplanes into the World Trade Center Towers, bringing down both and killing almost 3,000 people. On October 7, the Sabres and Rangers played the very first hockey game in New York City following the attacks. On February 12, 2009, Continental Airlines Flight 3407 crashed into a residential neighborhood in the Buffalo suburb of Clarence, killing everyone on board and one on the ground. The very next night, the Sabres hosted the San Jose Sharks in an extremely emotional 6-5 shootout win. And on Monday, two bombs were detonated at the finish line of the Boston Marathon, sending a day that was supposed to be reserved for joy, celebration, and our nation’s very independence into one of chaos, fear, and devastation. Tonight, the Sabres will visit the Bruins in the first sporting event to take place in Boston since. “Prior to the National Anthem, a ‘Boston Strong’ themed video will be played on the Garden HDX followed by a moment of silence to honor the victims and the first responders. The National Anthem will feature TD Garden legend Rene Rancourt and the Boston Fire Department Honor Guard and the Bruins organization will encourage all fans to join in the singing of the Star Spangled Banner. The Boston Bruins Foundation and 50/50 raffle will be accepting donations throughout the various concourses tonight, which will be donated to One Fund Boston. 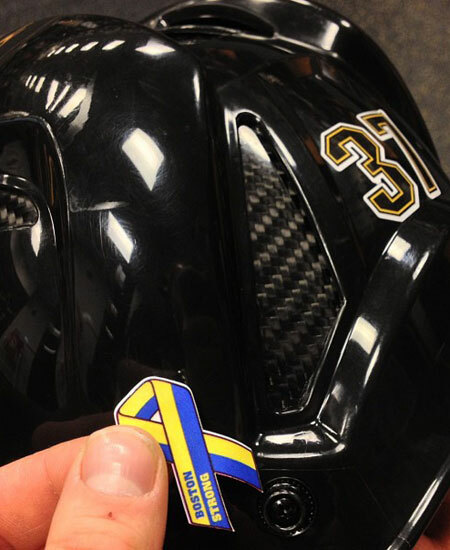 In addition, both the Bruins and Sabres will display “Boston Strong” decals on their helmets. Boston is a strong, resilient city filled with good, honest, hardworking people who have been dealt an unfair blow. Tonight, whether you wear black and gold or blue and gold, you are our brothers and sisters, our mothers, fathers, children, cousins, and friends. We stand in solidarity and support with all of you who are hurting. That’s why tonight is bigger than the Battle of the Thruway/MassPike. Tonight is bigger than hockey, bigger than the NHL, bigger than sports, bigger than all of us. Tonight is about giving the players, the coaches, the team staff, the fans, and the entire Greater Boston area a respite from reality, a place to feel together, and a perception of normalcy–if only for a few hours. Whatever the score at the final buzzer, I hope that everyone will feel their spirits lifted, even if only slightly. 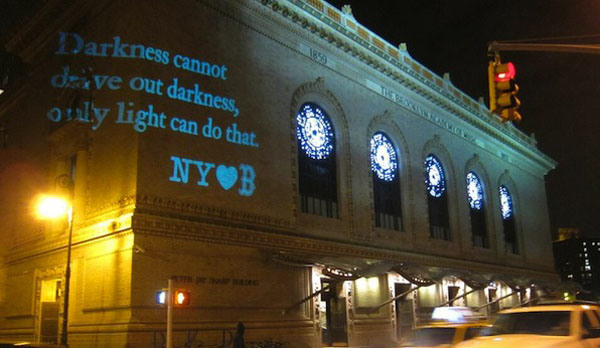 From Buffalo to Boston–we’re all in this one together. 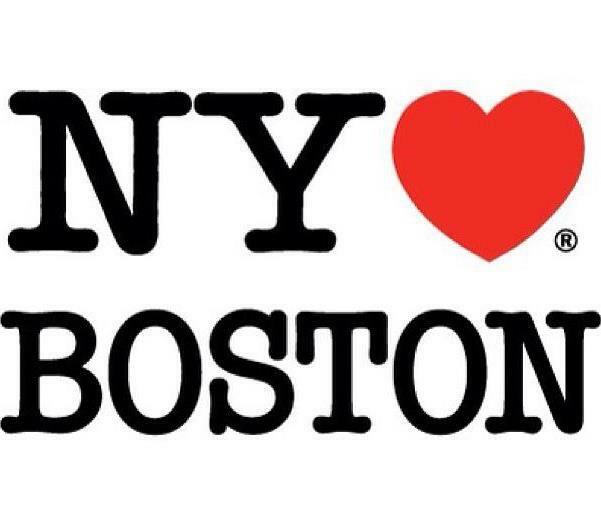 Stay strong, Beantown. With love, Buffalo. This entry was posted in Boston Bruins, Buffalo Sabres and tagged Boston, Boston Marathon Bombings, Buffalo loves you, Community. Bookmark the permalink.